If site visits are required we are available for the following areas: Taree, Port Macquarie, Forster, and Kempsey. Including all towns in between such as Tuncurry, Wingham, Old Bar, Harrington, Bulahdelah, Coopernook, Gloucester, Kendall, Kew, Laurieton, Wauchope, Laurieton, Lake Cathie, Bonny Hills, and Bonville. Covering the areas governed by: MidCoast Council (MCC), Hastings Council, and Kempsey Shire Councils. Over 35 years of experience in our various fields, equips us well to undertake your project and provide the engineering services you may require. Whether you are an architect, builder, specifier or just in need of assistance please feel free to give us a call and one of our friendly staff will be more than happy to assist you with your engineering needs. Owner builders sometimes call this a building engineer. If you need a building inspection engineer’s certificate or certified structural drawings for Council, they will want you to use a qualified practicing structural engineer. 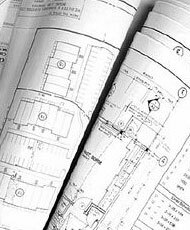 We can issue engineering certificates, and geotechnical reports for site classification.